GEORGE NEWS & VIDEO - Two adventurers, Kobus Robbertze and Joe Pelser, embarked on an epic powered paragliding journey around the South African coastline from Alexander to Kosi Bay on 31st March. 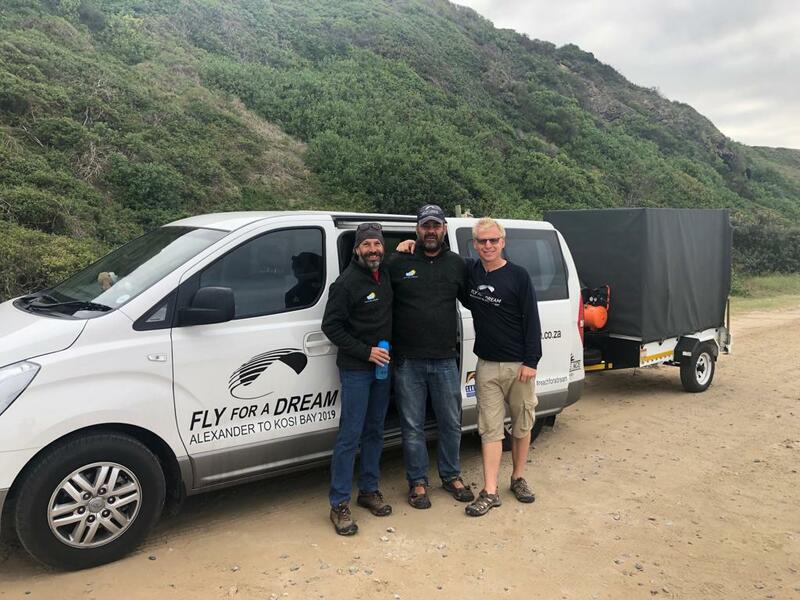 As part of their 2 500km Fly for a Dream journey to raise funds for the Reach For A Dream Foundation, Robbertze and Pelser stopped in Wilderness on Friday 12 April. After a good night's rest they left for Plettenberg Bay early the next morning. The Fly for a Dream team are looking for sponsors to help them make more dreams come true for children fighting life-threatening illnesses. 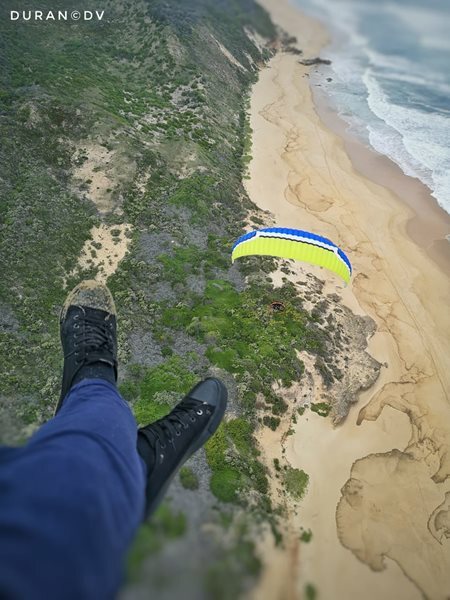 "We are paragliding around the South African Coastline from Alexander to Kosi Bay to create awareness for the needs of the Reach For A Dream Foundation but also to raise much needed funds that go towards the fulfilment of dreams. Every child’s dream is different, some dream to be policemen, others just want a pink pony, some want to be able to contact their families at home with a cell phone and others dream of an entire wardrobe filled with Spiderman clothes," said Pelser. For more information and to support their cause please click here. Kobus Robbertze, Joe Pelser and Chris Riley, dedicated support member, getting ready to launch from Kleinkrantz. 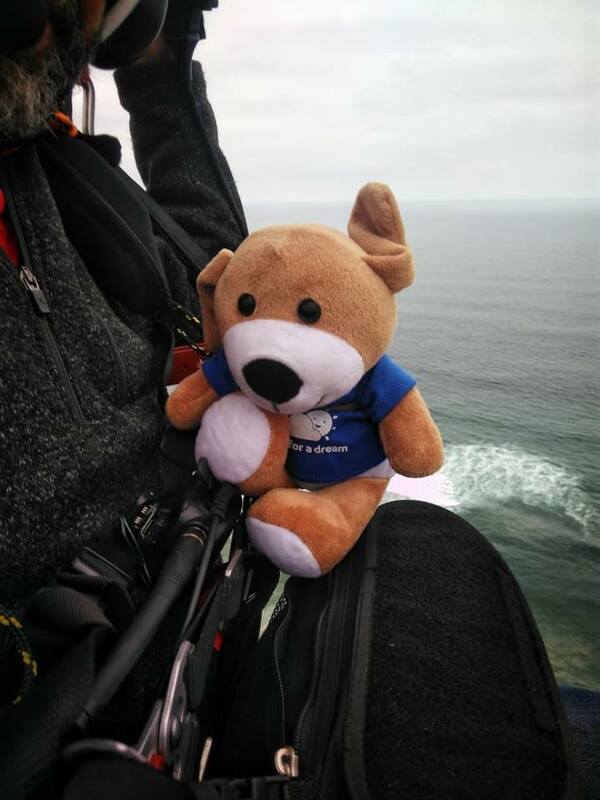 Rotor, the Fly for a Dream mascot, enjoying the trip above Wilderness with Robbertze.